TRANSBETON s.r.o. 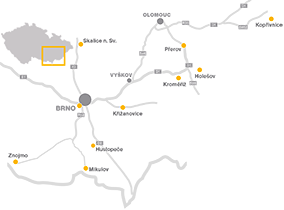 provides delivery of concrete for the construction of a new bridge on the road I/43 in the village of Černá Hora, district of Blansko. The original bridge was pulled down in April 2018 and the construction of the new bridge was commenced.